Do you enjoy the interaction between Draco, Lucius and Snape, or just the delicious villains (or not so villainous, after all) in general? Then add your name to the listing! purebloods, mudbloods or muggles that have passed this way since June 10, 2004. This site has no affiliation with J.K. Rowling, anyone involved with the Harry Potter books or films, or the actors. 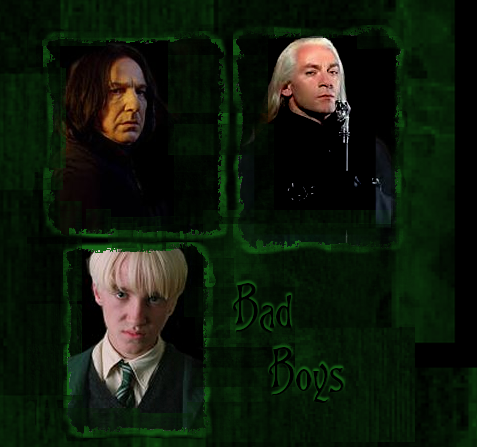 This is just a fansite made by fans & listings fans, devoted to the characters Draco Malfoy, Lucius Malfoy and Severus Snape.